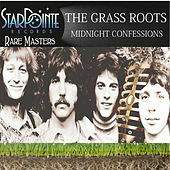 The Grass Roots might count as one of pop-rock's original platinum faceless bands -- probably a good thing, seeing how they'd gone through four different lineups by the time their decade-long run of Hot 100 hits ended in 1975. Initially, the band was just anonymous studio musicians hired by L.A. songwriting and production pair P.F. Sloan and Steve Barri; then a band previously called the Bedouins charted with "Where Were You When I Needed You" in 1966. When the former Bedouins wanted to do more original material, they were replaced in 1967 by a lineup that would make the Grass Roots' two best-known singles -- "Let's Live for Today" (a translation of an Italian pop hit) and "Midnight Confessions." 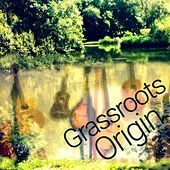 Some personnel had changed by the time the Grass Roots scored their third Top 10, "Sooner or Later," in 1971; before long, most everybody else was swapped out, too. Through all the permutations, the sound remained a sort of impurist commercial folk-rock, occasionally incorporating horns; songwriting mostly came from folks in the Dunhill Records offices. And over time, throughout the world, the band -- if you can call it that -- managed to sell more than 30 million records.